Given that most of the Colossus footage in the Deadpool trailer seems to take place during the same battle scene, it's easy to assume he might be a fairly minor player in the film, and that Deadpool's ties to the established X-Men universe will be fairly minimal. Not so, according to Deadpool creator Rob Liefeld, who talked a little bit about the film at the Amazing Hawaii Comic-Con this weekend. "You guys have seen a glimpse of him in the trailer; at San Diego in Hall H, they showed a little bit more of Colossus," Liefeld teased, praising the CG and saying it was the best the character had ever looked onscreen. 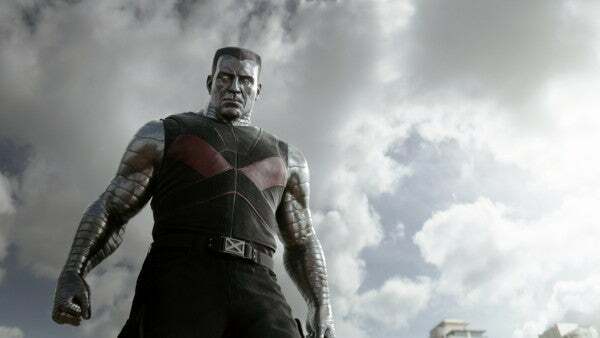 "...You are going to love Colossus in Deadpool. He's in it a good amount; he doesn't just walk through the movie." YouTuber Tiger Lau posted a video from the Q&A, which you can check out below. Deadpool hits theaters on Feb. 12, 2016. You can check out every other upcoming Marvel movie on ComicBook.com’s Comic Book Movie Release Schedule!